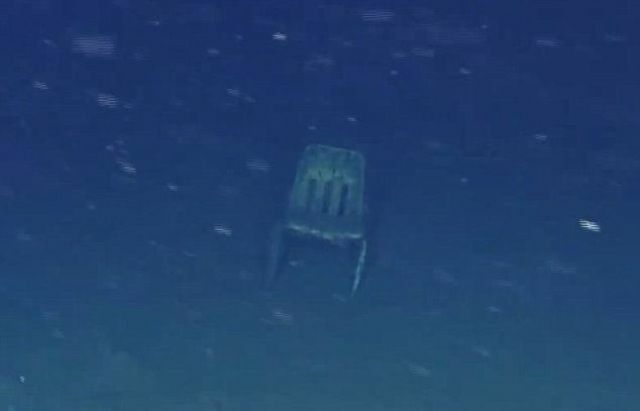 In a recent study by the Monterey Bay Aquarium Research Institute it was found that areas in the deep sea are actually filled with accumulated rubbish. 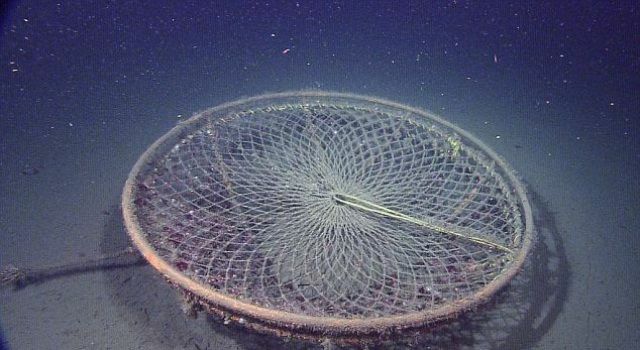 The research covered waters as deep as 13,123 ft (4000 m) and you will be shocked at the things they found littered there! 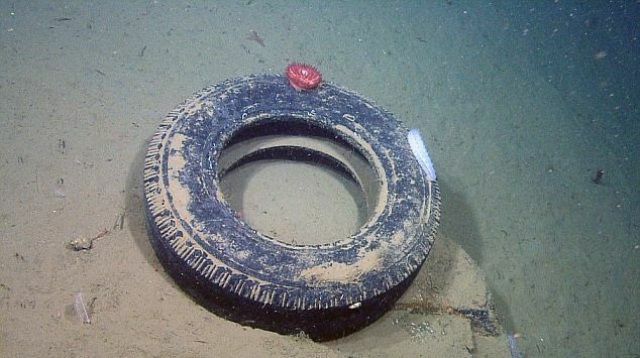 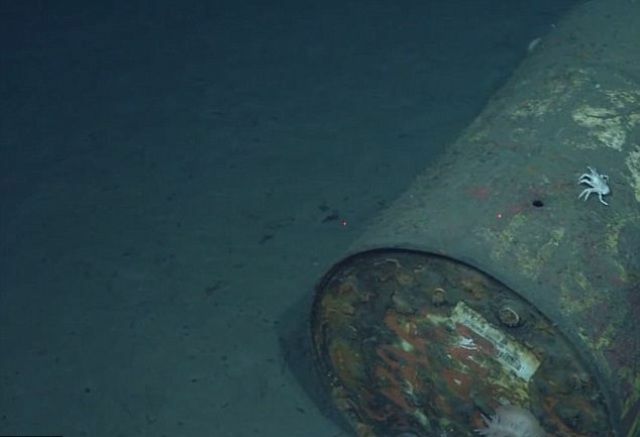 This used tyre was found 2850 ft (868 m) below the surface. 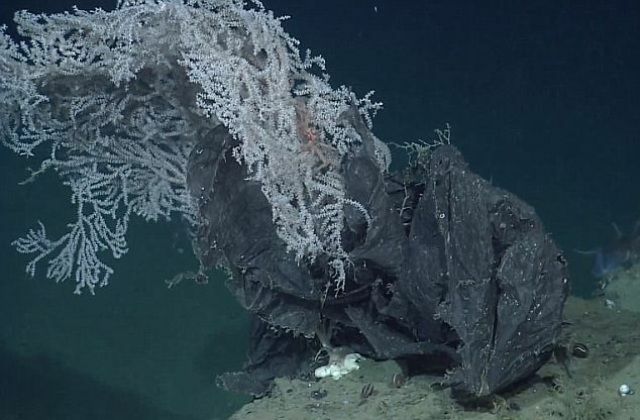 A plastic bag wrapped around a coral at 7000 ft (2115 m). 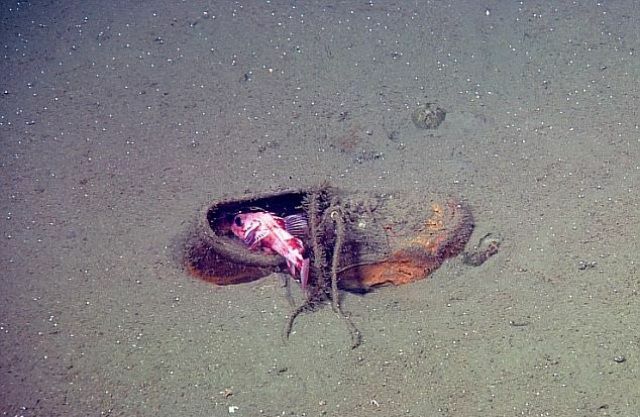 An old shoe found at 1548 ft (472 m). 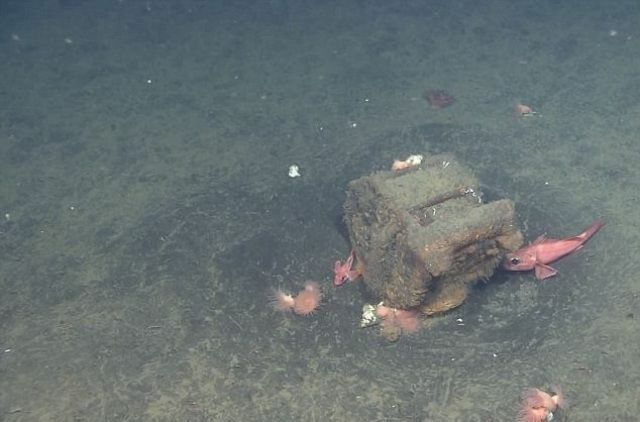 In total, they recorded 1150 objects at dive sites around Monterey Bay in particular. 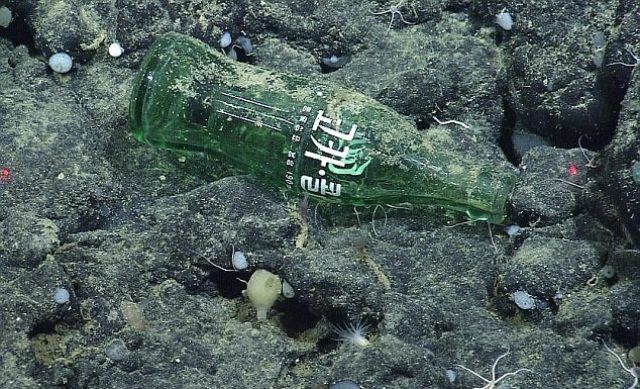 The largest portion of this rubbish (32%) was made out of plastic, which is particularly harmful to marine life while the largest single piece they found was a shipping container that fell from a ship in 2004. 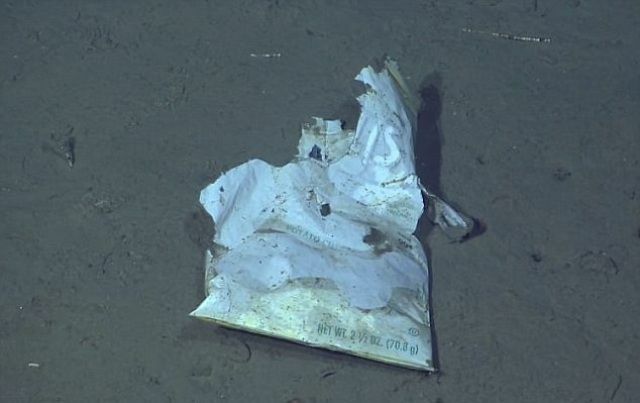 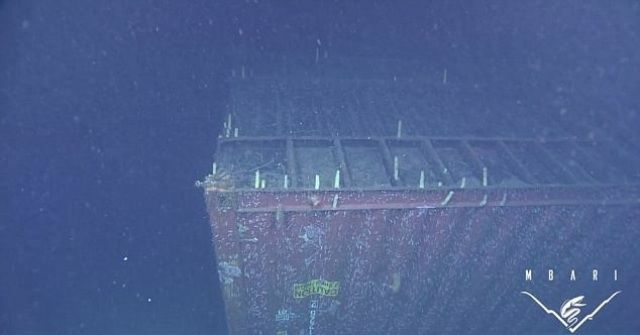 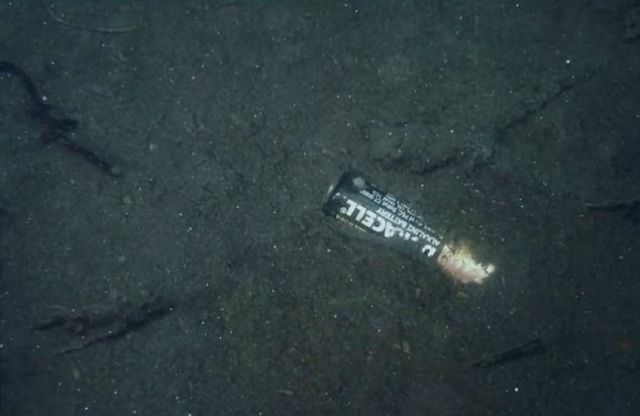 1 response to "See What Is Dumped In the Pacific Ocean (11 pics)"